The primary interests of the lab focus on cell-mediated immunity to mouse retroviruses that cause either leukemia or immunodeficiency. We have been studying resistance to endogenous AKR/Gross virus-induced leukemia mediated by cytotoxic T lymphocyte (CTL) responses. By use of "low leukemia" mouse strains, CTL that readily lyse AKR/Gross retrovirus-induced tumors have been generated. The CTL recognize "type-specific" viral determinants with the major immunodominant viral peptide located in the transmembrane anchor protein encoded by the envelope gene. Other mouse strains of higher leukemia incidence are unable to generate such CTL responses. The mechanism of unresponsiveness include both MHC-dependent mechanisms and apoptosis of effector CTL following interaction with FasL-expressing virus infected cells. Another area of emphasis is the study of both immunity to the mouse acquired immunodeficiency syndrome (MAIDS) retroviral isolate and the mechanism of retroviral pathogenesis. In this model of HIV induced AIDS, we have raised unique protective CTL to the causative virus. Interestingly, the immunodominant determinant recognized by the CTL is encoded by a previously unrecognized alternative viral translational reading frame. Moreover, this alternative reading frame is extended, and mutagenesis experiments have shown that it exists because its protein product is necessary for viral pathogenesis. . We are also interested in the retroviral induction of myeloid-derived suppressor cells (MDSC) in this system: especially their unique inhibition of B-cell immune responsiveness (as well as of T-cell responses), and the first report in any system of involvement of the new checkpoint regulator VISTA in MDSC suppression of B-cell activity. The overarching goal of this project is to create an integrated home for clinical and translational science at Dartmouth and accelerate the translation of scientific knowledge into practice and improved population health. After graduation from Case Western Reserve, Dr. Green first continued his efforts with an NIH supported fellowship and then working as a research associate in Immunology first at the Johns Hopkins University School of Medicine and then at the Fred Hutchinson Cancer Research Center (FHCRC) and the University of Washington (UW) in Seattle becoming an Assistant Member/Professor at FHCRC and the UW in 1980. 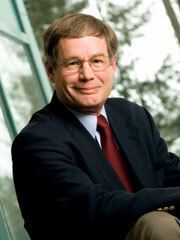 Dr. Green joined the faculty of the Department of Microbiology at Dartmouth Medical School in 1983. From 1992-2002 Dr. Green served as Director of the Immunology Program, including the Immunology and Cancer Immunotherapy Program of the Norris Cotton Cancer Center, before becoming Chair of the Microbiology and Immunology (M/I) Department in July, 2002; and leading as PI the NIH-NIGMS funded Center of Biomedical Research Excellence (COBRE) in Molecular, Cellular, and Translational Immunological Research, now in its fourteenth year of funding. From January, 2008 through September 2010, he served one term as Dean of Dartmouth Medical School before returning to chairmanship of the M/I Department, and Director of the Dartmouth Community Medical School. Approximately equal number of Ph.D. graduate students and post-doctoral fellows trained over 25+ years. Long term PI of an NIH/NIAID Institutional (T32) Training Grant funding graduate students and postdoctoral fellows in immunology. PI of the Immunology COBRE Award from the NIH for 14 years and ongoing – including junior faculty development.